To build angle drives, bevel gears have unbeatable advantages. In contrast to worm drives they are not inhibitory and have a better efficiency. 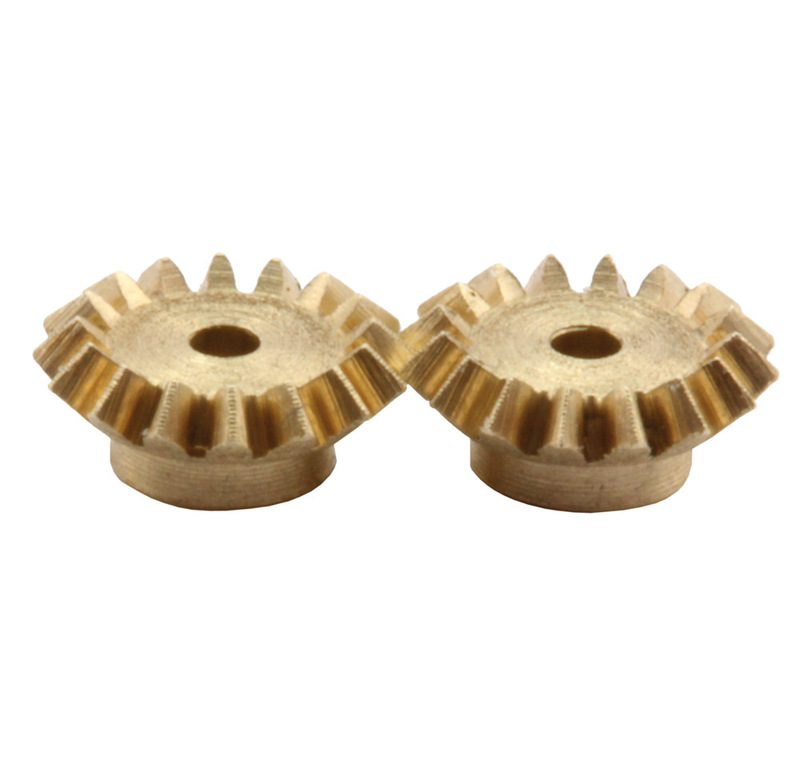 For use in micro model construction, we have a bevel gear with only 4.5 mm outside diameter in the program. Be it as axle drive, for winches or individual gearbox solutions, with this gear interesting solutions can not only be found in micro-model construction. Length: 5 mm, Material: Brass, DIN84, Contents per bag: 25 pcs. The Sol-Expert group is located in Baindt near Ravensburg and develops solar-powered toys, design solar models, as well as experimental and craft kits. Quality "Made in Germany" - Solid wood and powerful solar cells give the products their excellent properties for playing, crafting, experimenting, learning and decorating. The spectrum ranges from a solar beam for the little ones to simple and more complex model kits, to solar technology experiments for teenagers and adults, as well as give-aways for advertising purposes. Toys made of renewable raw materials such as wood are environmentally friendly and at the same time harmless to health. The solar panels provide electronic energy without the need for resource-intensive batteries. Delight your children and unlock the technology of tomorrow!